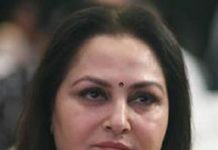 Actress Rekha Rana of film “Tara- Journey of Love and Passion” fame recently released the remake of the hit number of Sa Re Ga Ma, starring Waheeda Rehman and Dev Anand “Na Tum Humein Jaano” from the 60’s era of bollywood. The video has received a lot of positive response and appraisal on all the platforms. The video has crossed more than 3.3 million views on Instagram and continues buzzing. This video is a tribute to Waheeda Rehman who has been Rekha Rana’s favourite actress. The video was shot in Virginia, Washington DC and it was released on 25th December,2018 and is available on Youtube, Facebook and Instagram. International award-winning actress Rekha Rana who has represented India on many national and international platforms like Cannes, Cameroons and Braintree film festival, was spotted shooting for a documentary with Princess Francoise Sturdza in Mumbai recently. Princess Francoise Sturdza runs a non-profit organisation called ‘Heart for India Foundation’ in Chennai. Rekha Rana is the World ambassador for the Heart for India foundation along with chef Vineet Bhatia. Rekha was a part of the movie ‘Tara: The journey of love and passion’ which received critical acclamation both by national and international critics. The foundation works with underprivileged children from 3-18 years of age with access to education and are currently providing education to more than 3000 kids in Tamil Nadu. Rekha was very happy to shoot with Princess Francoise Sturdza for the documentary.